Life at the Barr-McGee ranch has settled into a pleasant lull of work and rest for members of THE OUTFIT. But big Rafe Barr stews about his wife and son’s murderer, and leaves to search for resolution, revenge, reckoning. 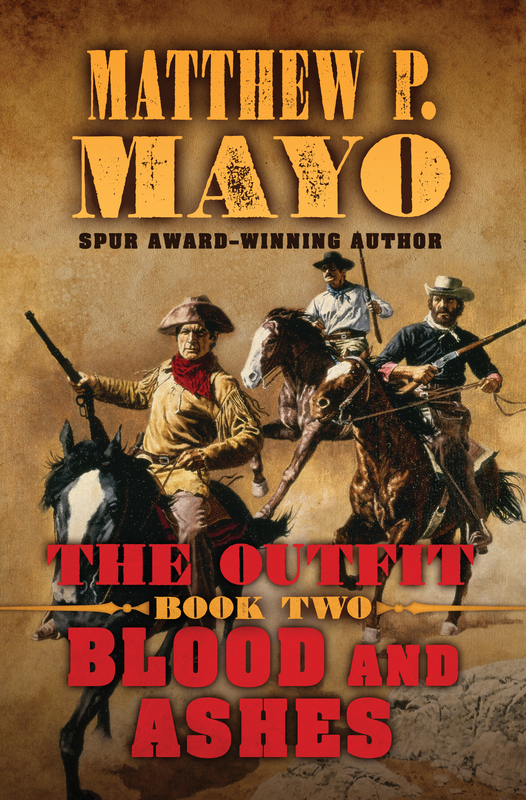 Meanwhile, Black Jack Smith attends a high-stakes poker tournament in Santa Fe, where he encounters the powerful covert Brotherhood of the Phoenix. The group plans to make good on its rallying cry: “The South shall rise from the ashes, reborn!” in a brutal public lynching—with visiting President Ulysses S. Grant as its swinging centerpiece. Rafe and Cookie ride for Santa Fe with Doc in tow, driving his latest invention, Ethel the War Wagon. Stakes are high and the men bet all hoping to save the President, and prevent the rebirth of a scourge long thought dead. Will THE OUTFIT arrive in time to extinguish the rising flames of villainy and hatred?